Whoever said cartoons are only for children had absolutely no idea what he or she was talking about. Seth MacFarlane has been responsible for some of the best contemporary adult-oriented animation over the years. Undoubtedly, his two crowning achievements are American Dad and Family Guy. However, while both shows maintain similar tones and styles, the creators of American Dad set it apart from Family Guy by making the show’s jokes relevant to the plot, rather than tangential to it. I think we figured out who we were and it happened fairly early on. We had to separate ourselves from Family Guy. In the very beginning we had a few more cutaways and flashbacks and soon figured out that wasn’t going to work, otherwise we’d be a carbon copy. So then we were focusing on stories and characters and realized that was going to be our bread and butter. Weitzman would go on to cite British comedy troupe Monty Python as a definite source of inspiration for American Dad in the way that the humor is silly and off the rails, but still manages to remain relevant to the core narrative of a given episode. 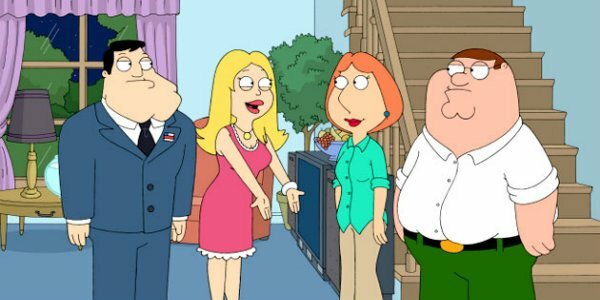 For better or for worse, Family Guy has made a name for itself over the years as the show that throws an obscene amount of throwaway jokes against the wall and tries to make them stick. By contrast, American Dad has generally kept the humor within the plot of the series, rarely opting to cut away from the characters or central narrative of an episode for the sake of a joke. Although Family Guy has become known as the quintessential Seth MacFarlane show over the years, American Dad really features objectively stronger storytelling. This stems from the fact that American Dad’s Smith family lives in an inherently more absurd world than Family Guy’s Griffins, resulting in American Dad’s ability to have weirder things happen to its characters while still making sense. Unlike the Griffins, who live average blue-collar lives, the Smith family constantly lives with an alien in their attic. Plus, the dad works at the CIA and a talking gold fish lives in their living room. American Dad can get away with just about anything because anything can happen within the world of the main characters. Both shows have their places; Family Guy provides us with a constant barrage of cutaway gags that skewer all levels of our culture, while American Dad uses somewhat absurd humor that directly relates to the lives of its characters. Which Humor Do You Prefer?